Should I Claim 0 or 1 on My Taxes? The U.S. uses a pay-as-you-earn income tax structure, with many taxpayers making their required payments throughout the year through income tax withholding. Then, at the end of the year, you file your tax return and either pay the amount by which your withholding falls short of your tax bill, or receive a refund for the excess. The Internal Revenue Service uses different forms to help employers calculate withholding and ensure everyone pays the right amount of taxes at the end of the year. Knowing the difference between a W-2 and W-4 helps ensure you know which forms to file to make sure the right amount is withheld from your paycheck during the year and that you pay the correct amount in taxes when you file your return. A W-2 is used to report your taxable income to you and the IRS at the end of the year, while a W-4 is used by your employer to help determine how much to withhold from your paychecks during the year. The W-4 Form is the form that you submit to your employer to provide the information required to calculate how much to take out of your paycheck for income taxes. The IRS sets out formulas to determine how much to withhold from your paycheck based on how much you make each pay period, how often you’re paid, your filing status and the number of withholding allowances you claim on your W-4. Of course, your employer already knows how much and how often you’re paid. But, your employer relies on the W-4 that you submit for your filing status and your allowances claimed. If you don’t file a W-4, your employer will withhold taxes at the highest rate. On the W-4, you must indicate the filing status you want your employer to use for calculating your tax withholding. If you’re single, you don’t have a choice: You must use the single filing status option. However, if you’re married, you can select either to have taxes withheld at the lower married rate or the higher single rate. You might opt for the higher single rate if you will file your taxes as married filing separately, if you have other income that isn’t subject to income tax withholding – such as dividends, interest, or self-employment income – or if you prefer to receive a larger tax refund at the end of the year because you had too much withheld. Each allowance that you claim on your W-4 reduces the amount of your paycheck that is subject to income tax withholding, which reduces your overall withholding. Each allowance claimed reduces your income subject to withholding by $4,150 per year as of 2018. This amount is spread evenly per paycheck, so if you were paid monthly, each allowance would reduce your income subject to withholding per paycheck by $345.83. But, if you were paid every week, each allowance would only reduce your per paycheck subject to withholding by $79.81 because you have more paychecks each year. What is the Penalty for Tax Overpayment? What Is the Difference Between Federal Withholding Tax & FICA? The purpose of allowing you to claim withholding allowances is so that you can make your tax withholding match what you will owe at the end of the year – different taxpayers have different life circumstances that affect the deductions and credits they're eligible to claim. You can use one of the worksheets that are included with the W-4 to determine the appropriate amount of allowances to claim. Many taxpayers can simply use the Personal Allowances Worksheet, which determines your allowances based on your filing status, how many jobs you work and how many dependents you have. However, if you have a more complex situation, you may benefit more from using the Deductions, Adjustments, and Additional Income Worksheet or the Two-Earners/Multiple Jobs Worksheet. The Deductions, Adjustments, and Additional Income Worksheet is used by taxpayers who anticipate having a substantial amount of tax credits or deductions, or who have outside income that isn’t subject to withholding that they don’t want to have to make separate estimated tax payments for during the year. For example, if you’re planning to itemize your deductions to write off your mortgage interest, charitable contributions and state and local income taxes, plus claiming deductions for IRA contributions or student loan interest, you might be entitled to more allowances than the Personal Allowances Worksheet calculates. Alternatively, if you have more than one job, or if both you and your spouse work, you should use the Two-Earners/Multiple Jobs Worksheet to calculate the total number of allowances you should claim across all of your W-4s. If you claim the total number of allowances on each of your W-4s at the different jobs, you won’t have enough withheld for taxes, which could cause you to owe additional interest and tax penalties at the end of the year. Instead, you should claim all of your allowances on your highest-paying job and claim zero allowances on your remaining W-4s. Of course, you don’t have to claim all of the allowances you’re entitled to. Some taxpayers prefer to have higher amounts withheld as a way to save more during the year so they get a higher income tax refund. However, when you have too much withheld, the government is holding that extra money from you throughout the year interest-free, meaning you won’t earn any interest on that money. But, don’t exaggerate how many allowances you’re allowed to claim to reduce your withholding during the year. Not only will you still owe the amount you should have had withheld when you file at the end of the year, your tax bill could grow because of additional interest and penalties. To avoid interest and penalties, you must owe less than $1,000 when you file your taxes or have paid in at least 90 percent of what you owe for the current year. For example, if your total tax bill is $10,000, you need to have at least $9,000 withheld to avoid IRS interest and penalties on your return. But, if you only owe $4,000, you need at least $3,000 in withholding to avoid interest and penalties because then your tax due would be less than $1,000. If you have a harder time predicting what your taxes will be for the current year, you can rely on a third safe harbor that allows you to avoid interest and penalties based on your prior year’s tax bill. 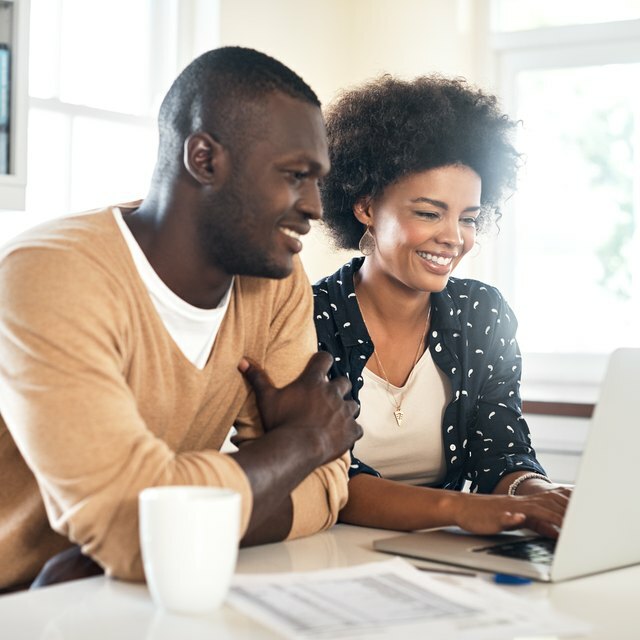 If your adjusted gross income is $150,000 or lower ($75,000 or lower for married individuals filing separate returns), you won’t owe interest and penalties as long as your current year’s withholding equals or exceeds your tax liability for the prior year. If your adjusted gross income is higher than that, you need to have 110 percent of your prior year’s tax liability paid in to meet the safe harbor. If you need to change your W-4, you can do so at any time by filing a new form with your employer. For example, if you get married or divorced, have children or have children leave the home, or have other changes in your taxes, you can file a new W-4 at any time to update your withholdings. If you have income from activities where you aren’t treated as an employee for tax purposes, you won’t submit a W-4. For example, if you work as an independent contractor, you won’t submit a W-4 to your employer because your employer isn’t responsible for withholding money for your taxes. Your employer will pay you all of your earnings, and then you need to make estimated tax payments to cover your estimated tax payment obligations. At the end of the year, the IRS wants to know how much money you’ve made and how much your employer has withheld for various taxes, and you need to know that information as well to file your tax return. Your employer is required to complete a W-2 for you if you earned more $600 during the year, if your employer withheld any money from your paychecks for any taxes including Social Security and Medicare taxes, or if your employer would have been required to withhold money from your paycheck if you hadn’t claimed more than one allowance or claimed exempt from tax withholding on your W-4. The W-2 shows your total taxable income, how much was withheld for federal, state, and local income taxes, how much income was subject to the Social Security and Medicare payroll taxes, as well as how much was withheld for those taxes, and how much you received in tip income. The IRS verifies the information you provide in your tax return against the information on your W-2 to make sure you’re reporting all of your income. In addition, the Form W-2 also includes information about other non-cash compensation such as life insurance benefits, contributions to employer-sponsored retirement plans, dependent care benefits and contributions to health savings accounts. In some cases, the additional information won’t have an impact on your tax return. But, in others, it can make or break your qualification for different tax breaks. For example, if you claim the retirement savings credit for contributions you made to your 401(k) plan, the IRS will expect to see a retirement plan contribution noted on your return. Your employer must give your W-2 to you by Jan. 31 of the following year. However, your company can satisfy the deadline by having the W-2 in the mail by that date, even if it hasn’t actually reached you yet. If you haven’t received the W-2 by mid-February, you should contact your employer to make sure it was sent to you at the correct address. While you may be anxious to get your tax refund, don’t file your taxes before you receive your W-2, even if you’re certain you know the amounts that will show up on the form. If the numbers are off, your return could get rejected, further delaying your refund. Or, you may end up having to amend your return later, which takes extra time and work on your part. If you find an error on your W-2, such as your employer reporting the incorrect amount of income or withholding for the year, your employer should issue a corrected W-2 to you changing the incorrect amount. Your employer will send the updated W-2 to both you and the IRS so your tax return won’t be rejected for showing the wrong amount of income. If, however, your employer refuses to correct your W-2 or hasn’t sent you a W-2 at all by the end of February, you should contact the IRS for assistance. When you contact the IRS, you need your company’s name and complete address, if possible your employer’s employer identification number which you can find on the prior year’s W-2, and your name, contact information, Social Security number, and when you were employed by the company. The IRS will reach out to your employer to request the W-2 be corrected within 10 days and will also send you a Form 4852, which is a substitute W-2 that you can use to file with your taxes in case the employer still won’t change or mail you your W-2.